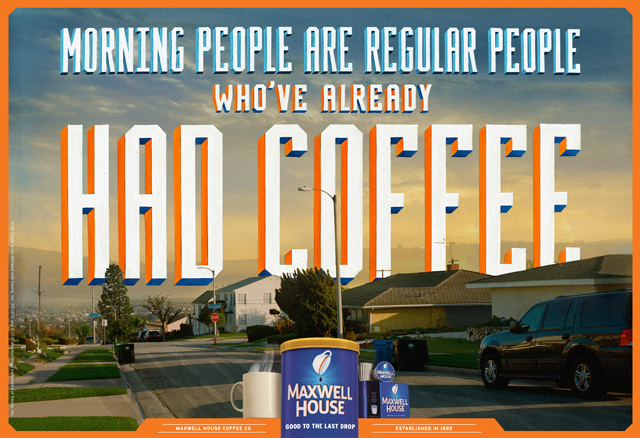 Aiming to reclaim its rightful place as a leader in coffee, Maxwell House asked us to help bring the brand back to life. 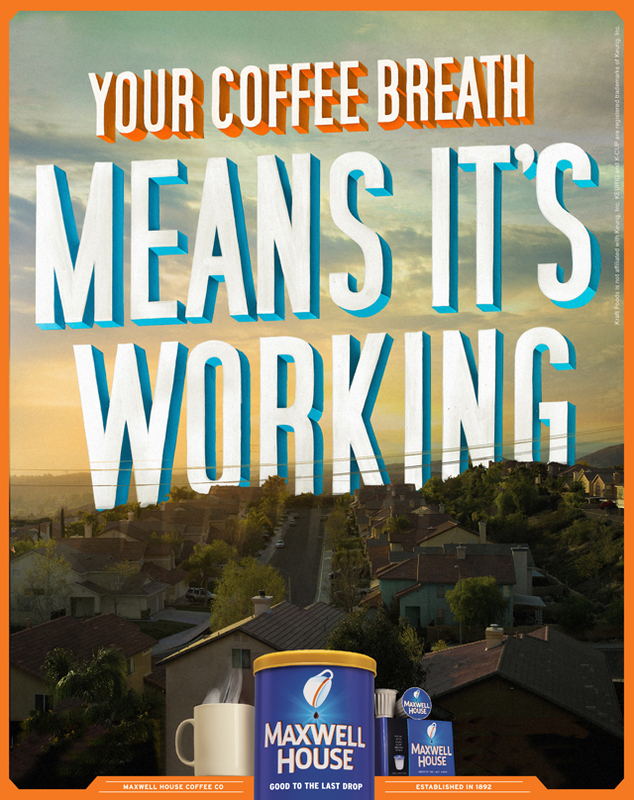 We started with their iconic tagline, "Good To The Last Drop." The campaign launch was successful and sales increased 40%. 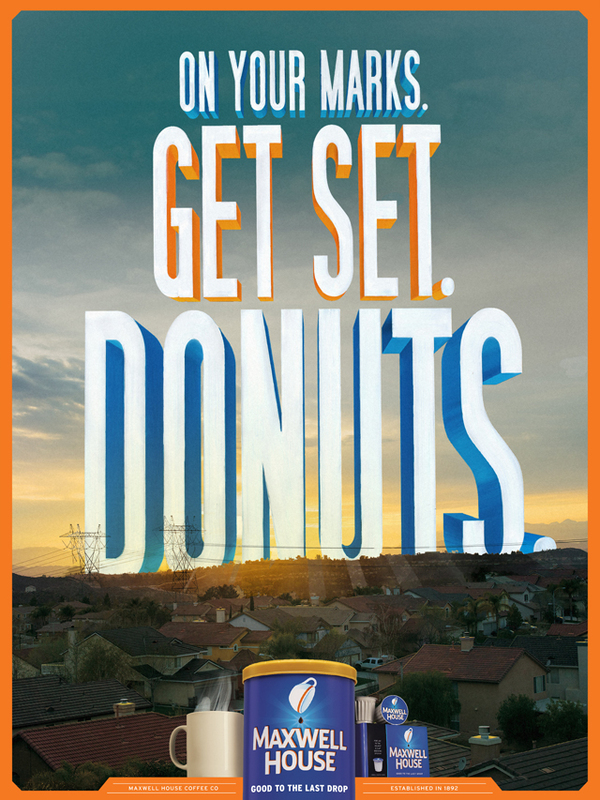 Then Kraft fired us. For the look & feel of the campaign, traditional sign painters painted headlines by hand on panes of glass. The panes were then photographed and incorporated into the photography. 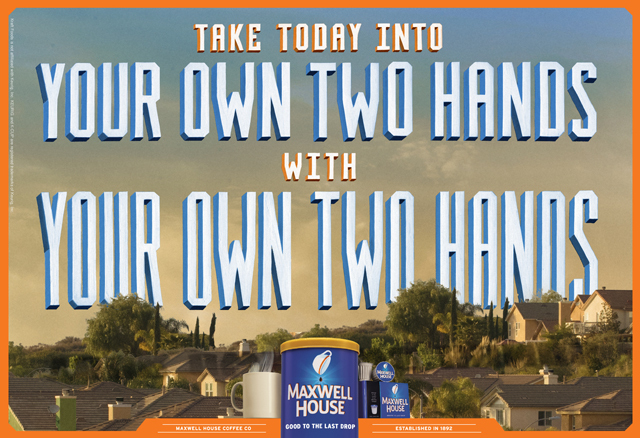 We also took over all of Maxwell House's social channels. Some favorites below. -Shortlisted at The One Show 2015.